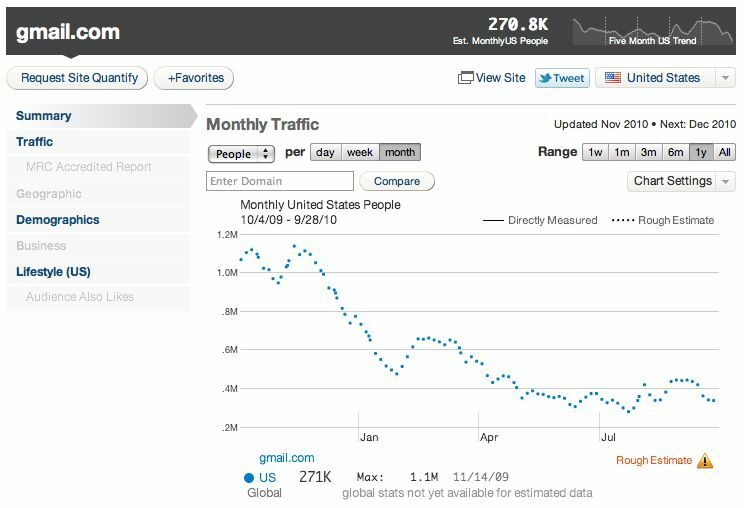 Gmail’s usage goes down, that is. 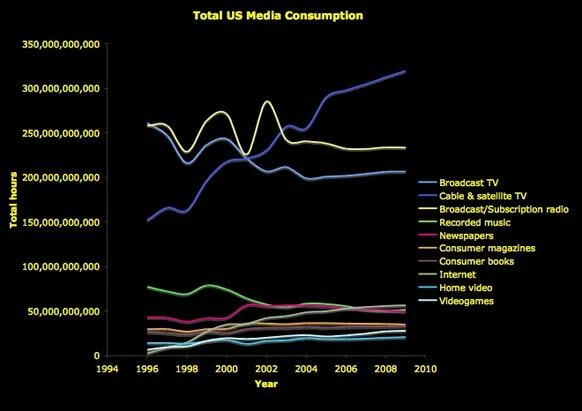 We’ve been reading recently about shifts in consumer media habits, some surprising (don’t miss Wired magazine co-founder Kevin Kelly’s analysis showing TV is the fastest-growing medium in the U.S., still far outpacing the Internet). And then we thought, we don’t check our personal email that often anymore, since we rely on Twitter and Facebook and messaging for intimate communications. Here’s what Quantcast reports, based on direct cookie observations of traffic to the Gmail site. Down 50% in one year. It’s an amazing trend, and one to watch as Facebook enters the email space with its Messages. It’s also a huge result of people checking personal email on mobile phones via IMAP. Is anyone really checking their personal email less because of Twitter? Not the case for me. Personally I believe Facebook is cannibalizing email; it’s now the No. 3 website in the U.S. for women in their 40s, for instance, and in the middle-aged crowd is becoming the forum for sharing news with friends. There are only so many hours in the day, so time spent on FB is time spent away from webmail. Mobile could also be contributing, good point. We’ll see how it plays out with FB Messages. Thanks for stopping by. I agree with Chris on mobile. Personally, I’m not in a hurry to switch to Facebook for email based on all the privacy issues they have had.